Review Your Will. Check for any changes that may need to be made because of a change in your life or because you want to add a charitable gift to organizations you care about, such as Conservation Law Foundation, in your plans. 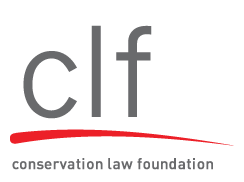 If you have questions about your estate plan, or are interested in including a gift to support Conservation Law Foundation in your plans, please contact Kate Saunders at ksaunders@clf.org or 617.850.1738. We are happy to help.